The hosts discuss new information about the Earth and its internal hum. Details from the bottom of the ocean might start to shed new light on the interior of our planet. Plus, check out a really cool sneak peek of the 2018 Death Wish Coffee mug. Then D-Man and Jeff can't understand why people put gold in their food, and they get animated about it on The Roast. Finally, the last mug release of 2017 is upon us and the company is gearing up for the holidays. Paul Mazurkiewicz was there when Cannibal Corpse started as a band in 1988. Playing drums with the band ever since Paul joins the show to talk about the early days and how tough it was for metal musicians at the time. Plus he talks about providing lyrics to many of the band's albums and how the horror genre has influenced the imagery and lyrics. Paul also sheds some light on the newest record, Red Before Black, and gives some details about the upcoming tour. Jeff: Well, I like to start a lot of these interviews from the beginning. And one of the things that's interesting talking with a musician like yourself is you guys started in the late 80s and at a time when metal itself was becoming something that was being realized, I guess you could say, and death metal was something that no one had realized. Can you talk a little bit about the music landscape like creating the band and what it was like to be a death metal band in that musical landscape? Paul: Yeah man, pretty remarkable to be, when you look back, that we grew up in this whole time when right, how you were saying metal was fairly new. You're talking early 80s when it starts to come to light and then we're young kids, "Whoa, what's this music? ", and then yeah you think of like wow, how much, how quick things changed over the course of a few years then, right. Metal is on the map now. It's still underground, like bands like Judas Priest and Iron Maiden. They're not your mom and dad's bands their name right. Right. Very underground. That was the beginning, of course, of just getting into bands like those when we were young preteens obviously at that point so. It's just amazing that we grew with this whole movement of metal morphing and kind of going off into different outlets like that right, 'cause you just got heavy metal, you know. There's not much going in there. Obviously at that point there's no thrash metal really happening, there's no death metal. You got some some heavier, maybe faster bands but I would think they would be so underground at that point. And if you're a 10 year old, 11 year old in the early '80s you have no idea, but right when Metallica starts coming out and Slayer comes out, it's those bands are taking it to a whole nother level. And like I said, we're we're just growing with this scene basically. Every every day something else is happening and changing. Fast forward to like the mid to late '80s when we're old enough to say, "Hey, I want to do this. Music is so strong in my life and I just want to play music. ", and all that. And and I remember when when we started when I when I made that assessment or started talking about wanting to play drums, and I was probably around '85, and I'm I'm a 16 year old or whatever. Like I said, still the music is changing, you know? And when Cannibal was formed in the late '88, we were a band that almost a band without an identity in a sense, because we didn't know what we wanted. We weren't sure of what was happening here. And when you listen to early Cannibal Corpse it's very little different then of course what it is now, but it's a lot it's a little different from our demo to say our first album. Paul: The vocal style, and then our just idea of what what's heavier, what we want to do as a band. It's really amazing. So you feel very fortunate to grow up in this whole era, like I said, of the music just changing and morphing. Then also kind of growing with death metal. Forming a genre. Of course, there's other bands around that we had our influence but, right. It was like what is this? We don't even know. We're just we're just trying to play extreme music that we want to hear as fans, I guess. It was an amazing time to start out because of it all just being so different, and new, and you just didn't know what to expect. What was going to happen the next day? You didn't know. and you famously said like you as a drummer. You did not go to school for a. You did not learn. like from Master drummers or whatever you just kind of went into it. Can you talk a little bit about like in the mid 80s like how music was a big thing in your life and that's what made you get to the point of where you wanted to play. What were some of your influences what made you pick up the sticks. Well yeah it was amazing looking back. yeah the all the I love all instruments of course of music. I've got big guitar guy I love guitar bass and drums. I'm the one who doesn't write. So at that point I actually started playing guitar before I play drums when I really 12 years old it took 6 6 months of lessons. you're playing acoustic guitar you not. I wanted to make noise so I ended up not pursuing it unfortunately I guess way low fortunately or unfortunately fortunately so but yeah well Reg when I became a way more like this is what I want to do. I want to play music while I decide what I'm going to be. I want to play the drums. I guess I was already gravitating towards the drummer. Like if I'd go to a show go to concerts and what are you I just focused on the drumming more and more going on more things to look at just like wow amazing what a drummer can do using all four of his limbs or what have and just of course different than the string instruments or a singer or anybody else that's going to be doing anything else on the stage. So I guess I was gravitating towards a drummer but having drumming in my family I guess kind of helped my cousin who is my 2 years older than me and almost looked at him as pretty much my brother growing up. He was a drummer and then my uncle was a drummer in the family as well so I was able to kind of see it a little bit. Jeff: It was destined in the stars. Paul: I know, me too in that way. But I remember just going to my cousins and kind of sitting behind the kit and go, wow I can do this without anybody showing me like just a quick, simple maybe four four kind of a beat. I was able to do it and a lot of people can't. People might sit behind a kit going, I'm so uncoordinated that they wouldn't even be able to do something basic. Jeff: I am one of those people. I can think of a drum beat in my head, but you put me in front of a kit and it just does not translate. Paul: I was fortunate to be able to just sit back and, go wow I can go [inaudible 00:06:14] without anybody telling me. So I felt what hey I must have a little rhythm here. So I was kind of excited and I'm like man that's what I want to do, I want to play the drums. Paul: So really having it in my family helped a little bit. Then like I said just gravitating towards the drums. But early on it was people like Neil Peart from Rush. And then all the heroes I guess of the bands that I loved, like Clive from Iron Maiden in the early days, of course. Lars Alric was a big man. Metallica comes out you're like, wow. The big one I think for modern day me, I would say, was Dave Lombardo, of course though. He's the one that really ... when you got in to Slayer and you're hearing this drumming and then I remember hearing of course Rain and Blood for the very first time, Buying it, putting it into my car, the cassette back when it came out in 86. And we were already into Slayer at that time but I was blown away. And when I first heard Angel of Death and you hear the drumming on that and you hear all the music, I was like this is how I want to drum now because I was already playing at that point. But it really pushed me to want to do what he's doing. Not that I am doing what he's doing because Lombardo is Lombardo. But he was my influence to go, I want to try to play like this. This is what I want to try to play like. And he was the biggest influence in my drumming that's for sure. Jeff: That's a great influence for sure. So fast forwarding a little bit, you guys get signed to Metal Blade and things start taking off but still slowly because metal is still like you said, this underground thing right. How has it been being a death metal band through the 80s and 90s and having to constantly, not whereas some bands have to reinvent themselves to get recognition, you guys have to basically be like, we're here and we're doing this. What was that like? Because obviously ... and I had to preface this obviously you're not getting top 40 radio play. That kind of thing. What was it like to be in a band that had to work to get recognition? Paul: It was amazing. We'd look back at really all of our whole career. Everything just has been amazing. I guess, you don't even think about it. You're just doing your thing I guess. That's all we ever did was our thing. But yeah right in the early days when you look at it when we got signed in December ... well the band was formed in December of 88 and we signed our contract in July of 89. So we're only a band, how long, seven months? Jeff: I was going to say, not even a year. Paul: Right. So we're a band looking for kind of our own identity I think. I look at it as like we got so lucky to get signed that quick and to be able to put our first album out in 1990 being a band. We're not even a year old and we're putting on our first record. That's amazing. But I also look at it as, man what if we were a band that played the circuit for a while? What if we were mulling around Buffalo for a few years? Our first album could have been something like The Bleeding or ... we may not have as old material that would that made it to the light of day. You know how bands may go. You get better, you start writing more songs, you start liking your newer stuff. There's only two songs that we actually ended up dropping out of our set that we wrote early on that we just felt like well these are our first songs we ever wrote and they're not up to par with the ones we're writing now. So we got lucky in that way to where everybody got to see Cannibal grow as long as we were not knowing what we're doing. We're just doing our thing. We had the recognition and we and we have ... we put out a record people are enjoying it so we're just doing our thing. What that is we don't still know but we're just pushing forward and wanting to play brutal music and you can see the progressions. You listen to Eat and Back to Life, well it's definitely a different album than Butchered at Birth. Paul: And then Tomb of the Mutilated you can ... maybe those are of similar Butchered and Tomb and then The Bleeding I really feel we were coming into our own then. Like okay now we're a band, we've been around for four years. Now we're starting to feel like ... kind of getting into the groove of getting into what we what we feel we're going to be doing is Cannibal that's ... I look at The Bleeding as that first step to modern Cannibal I guess. So really crazy to think of that. We got this material. Like I said especially the first three albums that may of ... if it all went different those songs may never have seen the light of day which is crazy. Jeff: That's crazy to think about. Paul: It is crazy because we got a lot of great hits I guess, people love the old stuff. So weird how that stuff goes but I'm glad it went that way. And we were able to just grow as a band in front of everybody's eyes like that. Jeff: And speaking of old and new, your brand new album just hit. Red Before Black, which is incredible by the way. Paul: Well thank you so much. Jeff: And did your 14th studio album. And we are now currently sitting backstage at your tour. You're in New York City right now on tour. What is it like going on tour now, having 14 records out there? When you guys go on tourm how do you come up with a setlist with that much material? Obviously you're going to play the new stuff. Jeff: But where do you draw from with that old stuff? Paul: Unfortunately it is because ... there is a lot of songs people are going to go, "you're out playing that and that and that." So I guess that makes us feel good where we know it's just not a handful of songs we have. We have our whole catalog that we could probably play a whole different set and maybe the fans wouldn't mind not hearing the ones they're expecting to hear. So maybe we'll get crazy one day and do that. That would be kind of fun. Just to bring back a lot a lot of classics. Jeff: I always love asking bands this question and you guys have toured the world a bunch. What is it like, especially for a death metal band, I know what it's like seeing you guys play in the States, but what is it like playing in Europe or Asia? Is it a different experience? Paul: Oh yeah. It's great that we have fans throughout the whole world. And then now so more than ever. When we first started you never thought ... you're not even thinking of a place like India or China or the Pacific Rim or any of these places. You're just ... that doesn't seem feasible or just it's unimaginable. So right now with the internet I guess and the way things go, we're able to tour the whole world and have the fans out there. But of course it's different. The States are The States, it's our home. I think the fans overall are maybe just the more rabid of all the countries. But it's just a culture thing. You go to Europe ... I guess the constant is the fans for the most part. You're playing in front of people that want to see you so it's when you look out there it's not going to be too much different. It's just everything around it of course. Yeah we're Europe. It's not like being home. We're in Japan, that's a completely different culture. And we're in South America, just everything's done differently in the world, or in their world. And their countries, compared to what we do in The States ... It's amazing that we can go to, like I said to a place like India and China, and have fans there and being really pumped that we're there. It's just incredible. Jeff: That's awesome. And the fans are rabid for this band for so long because of what you guys put out, which is this sense of brutality and the horror genre. Like I still say to this day, I can't believe someone hasn't taken one of your albums and made a movie out of it. Because a lot of what you guys write, especially lyrically, is very storyteller. Very, very much like this horror fiction kind of thing. And you write a lot of the lyrics. Jeff: Where do you draw your inspiration from writing the lyrics? Paul: I've been doing it for quite a while now, ever since our first singer was ousted. We all had to take over the lyric duty. So I end up writing a lot. And Alex and Rob. But for some reason right I end up writing more than the other guys. The last two records I wrote half the record lyrically. Jeff: I've seen the liner notes. Paul: Yes I rarely ... It's so funny because I ninety 99.9% of the time I'm going to have the title before I write anything. This album in particular ... this album the one song I did write, I had a title and then it changed in the middle of me writing. Never happened to me before. Jeff: Oh my god. That's crazy. Paul: The thesaurus. That's a tough one to say the thesaurus. I don't so that anymore. I look at it as, man I want to be as organic as possible. I want to feel the music and write down what comes to me in my own head. Use my own words, not words that maybe is a cool word but nobody says it. I've done that in the past. And I was like I don't want to do that anymore. I just want to write a very organic from within. Jeff: Are you a horror fan horror fan? Paul: A horror fan but not probably as much as I used to be. Jeff: A classic horror fan. Paul: Yeah because, the stuff you grew up with of course. I look at the ... I go with my movies and TV shows. I don't even watch TV anymore. I don't watch movies anymore. So everything that I have absorbed is obviously mostly probably from back in the day in a sense. I'm not this guy now that, oh I get to see every horror movie that comes out. I unfortunately almost don't care because I'm barely watching any movies, let alone horror genre I guess. So like I said I think this is all absorbed in us and I'm a fan of the horror that I grew up with. Sure, I still love horror movies. But I'm definitely not out there doing what I did when I was a teenager or 20 years old having to watch them all and read all these books. It's a different time. Jeff: Going from such a horror genre where the band comes from, where the band stems from is is I think refreshing in a music sense. Not just death metal I think. I think that's why death metal is something that's fun. But you guys have come into controversy throughout your career over that because of the covers of your records done by the incredible Vincent and also your lyrics and that kind of stuff. Which I think unfortunately stems from this P.C. culture world that we live now and but do you think, and this is honestly a personal question, do you think that that has hindered you guys or do you think that actually helped you? Paul: It's helped us really. I think it's the old adage when it comes to our music, especially our band. Any publicity is going to be kind of good publicity. Jeff: No press is bad press. Paul: Yes is that right. I think that's been our attitude because we kind of knew it was probably going to happen. When we're coming out of the name Cannibal Corpse and then we're coming up with these song titles that are just taking it to another level. Paul: We knew we're going to probably get some negative flak from this. But we don't care because we're doing what we want to do as musicians, as artists. And who cares what anybody else thinks. We're doing it for ourselves. That's what I think most bands would be doing it for. If you're doing it properly, you're doing it for yourself. And then you're just hoping everybody is onboard. And luckily that was the case. The people we're offending, I think, are the people that just aren't the fans of course. They're looking in from the outside, "you shouldn't be..." that typical ... they're trying to be big brother or whatever. Trying to tell you what to do how to live, what to like what, you should be listening to and all that. So we take it in stride because, exactly, we knew it was part of probably the territory with what we do. I don't think about it much. It hasn't hindered us. Here we are, 30 years. We've had some instances, yes the one in Germany that everyone's aware of. But you know what, we've played Germany. We still go back. It's all kind of in the past. I always tend to say they're just like little speed bumps we had to endure. But at the same time I really don't think about it. It's not a thing that bothers me whatsoever. Because here we are 30 years going strong doing better than we ever have. Jeff: Exactly. And I think that's a great attitude and that kind of stems into the question that we asked every single episode of our guests. You guys have been doing this like you said for 30 years. Trailblazers in this genre, specifically in Thrasher and death metal and that kind of stuff And also just recently, basically I think it was 2015 or 2016, they announced that because of your record sales you guys are the top selling death metal recording artist of all time which is incredible. Congratulations. Jeff: World tours, 14 albums, what fuels you to keep getting out there, writing records, getting behind that kit and touring? Paul: Well it's our love of this music, the love of creating and playing. When you look back, well why did you start doing this to begin with? It's such a part of you and it becomes you. And we wanted to create. You want to do your own thing. And then I look at it, well the fact that we made it We're here. We got our foot in the door and we're a band and we're going strong. A lot of people want to be in our position. Why us and why not them? I look at it like, yeah we got lucky in a sense. Sure a lot of hard work. But I still think it's being at the right place at the right time. All those kind of things that factor into success maybe. And why would you want to stop once you've once you're living your dream. Life's too short. This is what you wanted to do and it's unbelievable to me that we're all basically 50 years old and we're still doing this and doing it strong as ever. I would never thought that .hought back 20 30 years ago when you started you're just going man. I hope we have a cool run. Yeah. We've put out a CD do a couple tours your life can be complete knowing you. Your band made a mark. I think that's been our attitude since the beginning. So the fact that we're always had the popular popularity there and were able to keep pushing for Will why not. What else are we going to do. This is what we wanted. You know. So I look at it as man. This is this is my map. This is me this is my career. It's my job it's my livelihood it's everything in hand and said life's too short man. you think you got to take your opportunity and run with it because right we're we're lucky we're very lucky to be on tour here doing this for this long. I love so many people I said what would love to do what we're doing here you know. So I. And we what I mentioned earlier we want to move forward. We don't want to just sit back and we don't get through the motions. We have got to make another CD write songs. No we're excited to do that you know. Yeah. And I think it's apparent when you listen to the new album Red before black. We work so hard I've worked harder than I ever have in my life on a record you know. And I just wanted to take it to another level and just feel like I need to do what I'm what I do. I'm the drummer in cannibal corpse. I have a job to do here so I've heard a couple of you guys say that this new record was pretty much the hardest you guys have worked on. Jeff: Can you explain that a little bit like well how much would you put into this right. Paul: Yeah I just look at myself in particular. one when we always work hard on every rapper of course you always work hard to right. And we've never not. But I just looked at it what I could probably take it to another level. Why not just sit back why just sit back and go OK you know. Yeah we'll just do the writing I'll just do the same old things I was like what let me take it to another level. Personally my playing as a person I don't know I started I've just started doing just little things that I knew was going to help me being a 49 year old Death Metal drummer. I don't want to I don't want to sit back and feel like I'm up there struggling and trying to keep up. I'm like what time to take it to another level start working out a little bit more really concentrate on the diet more kind of thing. All those things that is going to help you as a person in general be kind of a positive healthy person. I don't want to be some decrepit old man. 50 60 years old or a lot of people seem to be that you know. And I knew my drumming could improve. I just was like I never wanted to sit back. But yeah I don't know why this I got to be because I'm getting older or whatever and how much you take it day by day at this point. Yeah we say we've been around 30 years sure we could be around another 30 years. But while is that really realistic. took 10 years who knows. And you got to take it day by day. So I my attitude was man let me let me do the best job that I can ever do. so I I worked extra hard at my drumming. I was I was putting in the extra hours all those little things that I know I didn't do in the past. Like you said I've worked hard but maybe didn't do those just minor little extra things that are going to help you know. And I noticed the difference and I think it's apparent in my drumming on the new record that I'm hearing a lot of good things about it and it's and it shows people I knew it. So yes I just worked really really hard. I live this album man. That's all I did. I didn't listen to music. I got I went to practice everyday. Jeff: Did the rehearsals - you said putting in the extra hours kind of a thing? Paul: I wasmaking sure I was ready to go the next day the next day up until we're ready to go and record in April. So so it was months of just work and focus and and I look back and go yeah that was the most focused the most work I ever put into a record and I'm. And it needed to be done on them you know. And stuff like that just becomes routine. Yeah. You'll look I worked hard. Well yeah. Well now if I maintain well then I could take it to another level and that's what I plan on doing the next one man. I want to take you to the next level. And speaking of the future red red before Black came out in November you guys are finishing up this Taylor at the end of 2017. What's the future plan for 2018. Just more touring of course yeah. the album just came out of the shot right. Got to bring it to the right. Right right right. We're just scratching the surface here with this U.S. tour so yeah we've got a couple of months off we do the 70000 Tons of Metal in February and that'll be fun and then we go right to Europe. Of course to take the take it out there we'll be touring with the Black Dahlia Murder. That should be a big time and then right we're going to be doing a bunch of everything where the festivals in Europe the whole festival season we'll get to South America. We'll get to Japan. We'll get to Australia we'll do the states again will do. we'll probably be touring excuse me for a good two years or at least for this record. So. So it's just all beginning right now. Jeff: So awesome awesome. I can't thank you enough for taking time to talk. Paul: Oh thank you for the interview man appreciate it Jeff. 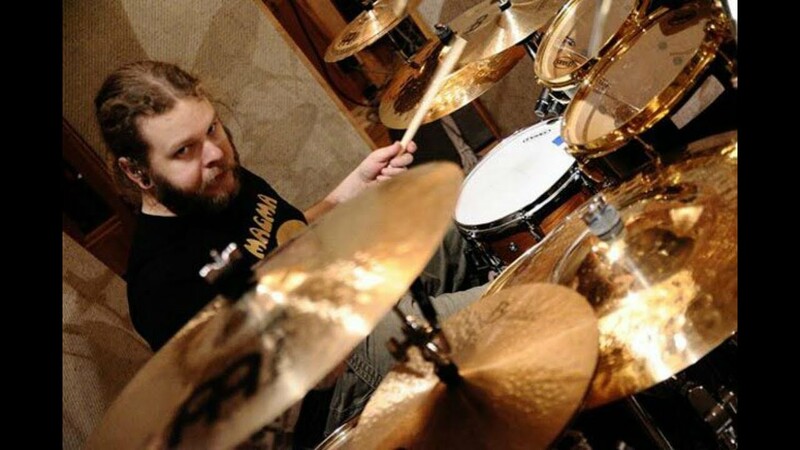 John Longstreth is the drummer of the death metal band Origin and has been considered one of the fastest drummers in the world many times. 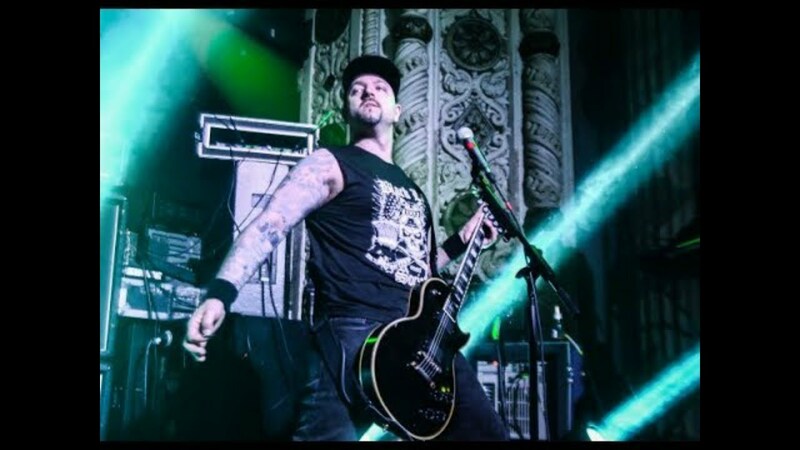 Wayne Lozinak is the guitarist of the metal band Hatebreed and has an interesting story of leaving the band only to join again down the road.